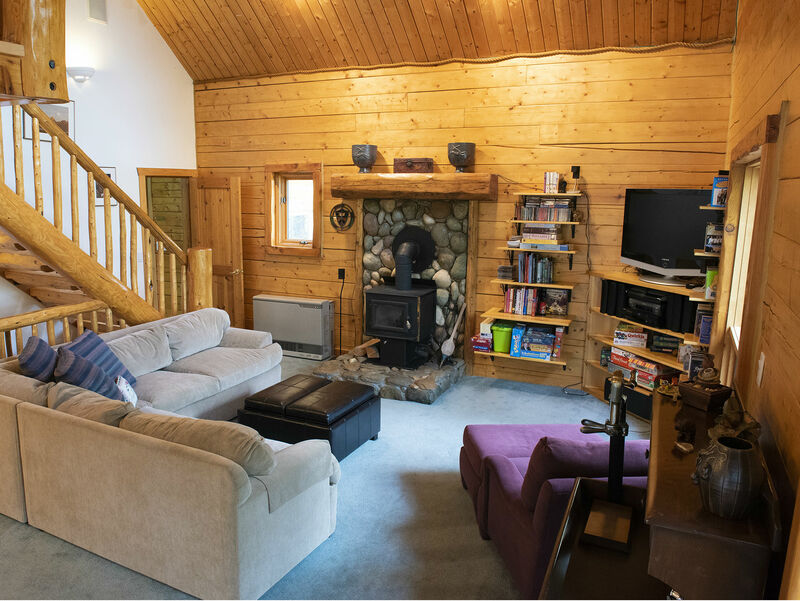 Beautiful log cabin in private wooded setting with large daylight basement game room including wet bar & pool table. Upper floor Master has Queen bed and private bathroom. Upper floor also has a Den / Office. 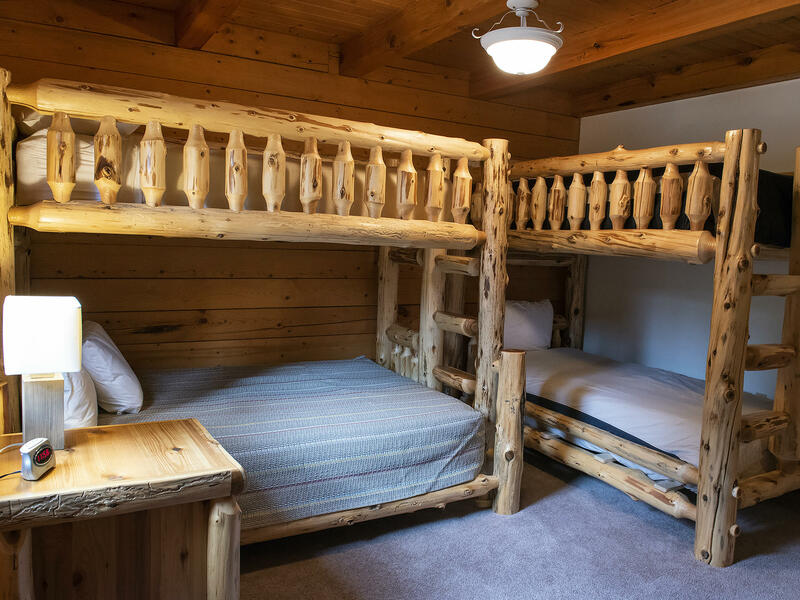 The main floor has a shared bathroom and 2 bedrooms, the first has a King bed with room for the Pack ‘n Play, and the second bedroom has a bunk bed with 2 Twins and a bunk bed with Twin top and Double bottom. The basement has shared bathroom and a pullout sleeper sofa in the game room. The basement bedroom has a Queen bed, and a bunk bed with Twin top and bottom and a pull-out Twin trundle bed below. 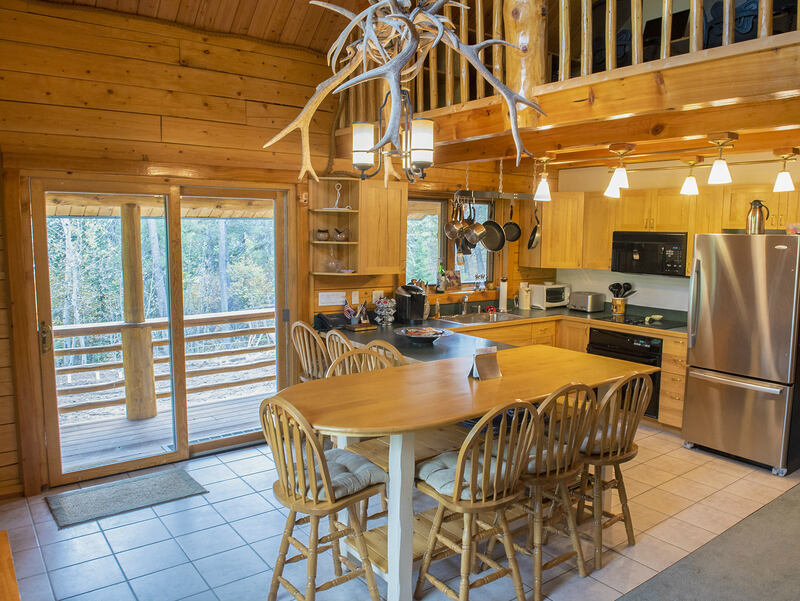 Fully equipped kitchen and dining area that seats 8 people. Seating for about 7 people in the living room, television has DVD player and Apple TV. No other television service available. The daylight basement has a wet bar & pool table. House is stocked with DVD's, books for all ages, board & card games. There are children toys as well as a swing set / jungle gym outside. An Apple TV will accommodate your streaming TV needs, however there is no other television service. WiFi internet is available as well. 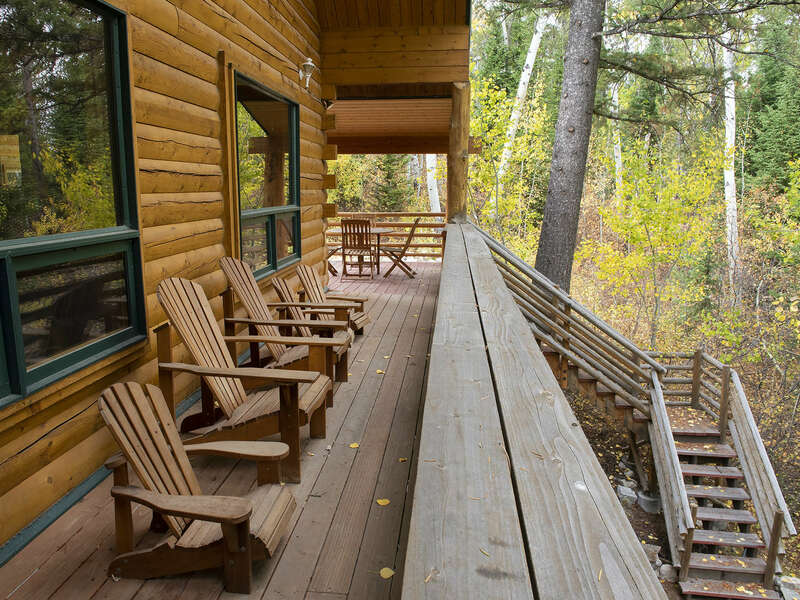 Beautiful log cabin in private wooded setting on the Southwest side of Teton Valley, Idaho. This property is restricted to a maximum of 8 adults with total party size not to exceed 12. 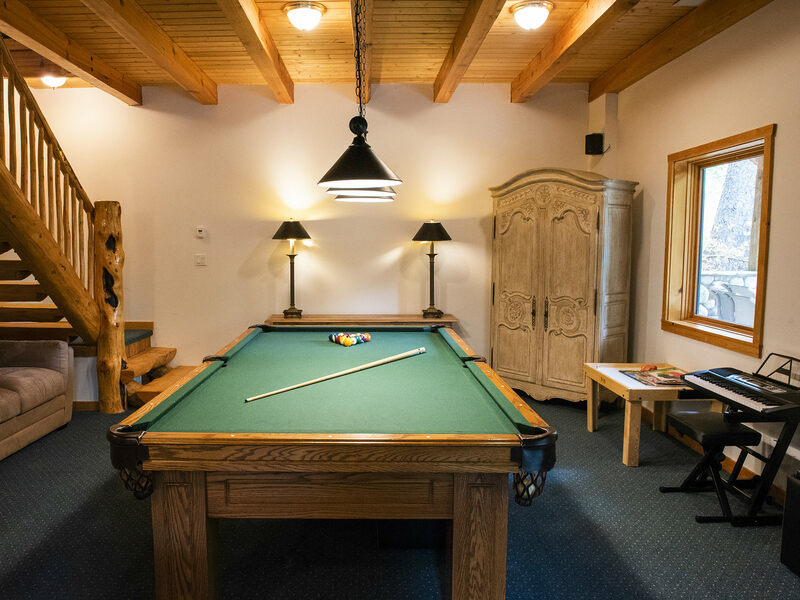 This is the perfect getaway if you want to be a bit out of town, but have a self contained location to entertain! 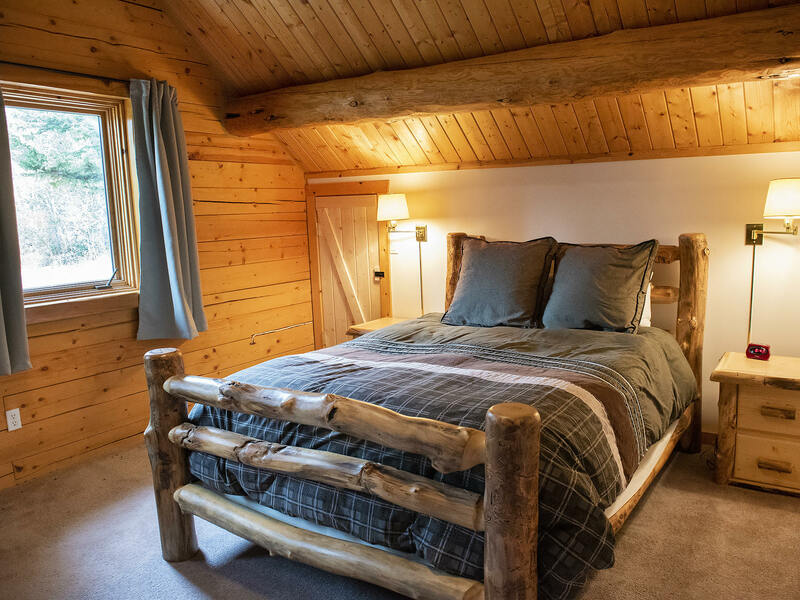 Closer to Victor than Driggs, which makes access to Jackson, Grand Targhee National Park, Yellowstone National Park, and the Jackson ski resorts that much closer!